PHOENIX - April 10, 2018 - PRLog -- Partner Engineering and Science Inc. (Partner), a California-based engineering, environmental and energy consulting firm, has announced that Donald Ohle, EIT, MBA, has joined Partner as a Senior Project Manager for their growing PCA Equity/Construction Risk Management Practice. With over a decade of multi-disciplinary due diligence consulting expertise, Mr. Ohle will help manage various aspects of construction and building assessment services. Steven Kitzke, Managing Principal at Partner, expressed excitement for the addition of Mr. Ohle to the team. "He brings a client-centric focus to Construction Risk Management and Property Condition Assessments (PCA). Don's background and experience with investment level projects will create tremendous growth opportunities for Partner," says Mr. Kitzke. As a national PCA project manager for a leading national firm, Mr. Ohle performed debt and equity PCAs for over 300 commercial real estate properties, including high-rise office buildings, regional retail shopping centers, industrial, self-storage, senior living, multi-family residential, hospitals, country clubs, casinos, hotels, and even mortuaries/cemeteries. He has managed teams of highly-respected PCA specialists, including building code, roofing, seismic risk assessments, building envelope, mechanical, electrical, plumbing, vertical transportation, and enhanced accessibility. 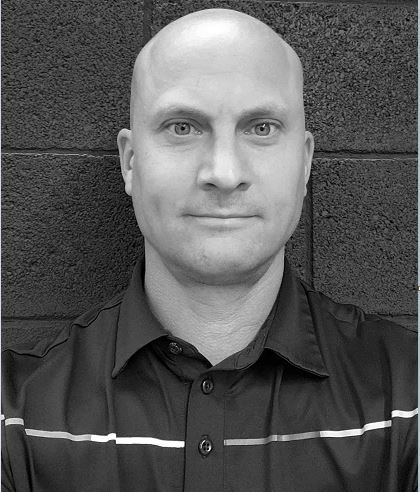 Mr. Ohle has been a part of multiple leadership teams, where he was a project manager, department manager, and approved QA/QC reviewer. He also has extensive experience as a senior portfolio manager for multiple Facility Condition Assessments of military bases/residences and Walmart's Building Condition Survey program. As a construction services consultant, Mr. Ohle has provided lenders monthly third-party assessments to verify construction completion per project plans, specifications, as well as within budget and schedule. Mr. Ohle has provided these services ranging from small multi-family residential and office building renovations to large multi-use commercial developments. Prior to pursuing facilities services, Mr. Ohle spent four years in environmental, geotechnical, and telecommunications consulting departments performing a range of basic due diligence services, including Phase I and II ESAs, asbestos, NEPA compliance, construction oversight, radon, lead-based paint, and mold testing, soil and water sampling, and geotechnical exploration. His wealth of knowledge across a scope of due diligence services will be invaluable for Partner's multi-disciplinary consulting practice. "I am eager to contribute to Partner's continual growth in the PCA and construction risk management services markets and am excited to be a part of multiple nation-wide teams dedicated to our equity level services," says Mr. Ohle. Mr. Ohle has a Bachelor's of Science in civil engineering from the University of Cincinnati and a Masters of Business Administration from the University of Phoenix. He obtained an Engineer in Training certification and was a former licensed residential home inspector in the State of Arizona. One of the fastest-growing private companies in the United States, Partner Engineering and Science Inc. (Partner) (http://www.partneresi.com/) is a national engineering, environmental and energy consulting firm serving the commercial real estate industry. Partner's services include: Environmental Due Diligence (http://www.partneresi.com/services/phase-i-environmental-... (http://www.partneresi.com/services/phase-i-environmental-...)); Subsurface Investigations (http://www.partneresi.com/services/phase-ii-environmental-site-assessment-report.php) and Remediation (http://www.partneresi.com/services/remediation-services.php); Industrial Hygiene (http://www.partneresi.com/services/asbestos-and-lead-surveys.php); Property Condition Assessments (http://www.partneresi.com/services/property-condition-reports.php); Seismic Risk Assessments / Probable Maximum Loss (http://www.partneresi.com/services/seismic-probable-maximum-loss.php); Engineering Design; Energy Audits (http://www.ptrenergy.com/); Building Commissioning; Sustainability Consulting; Land Development; Land Surveying (http://www.partneresi.com/services/alta-acsm-land-title-survey.php); and Construction Risk Management (http://www.partneresi.com/construction-risk-management.php). Based in Torrance, Calif., Partner (http://www.partneresi.com/) has over 700 employees in 40 offices nationwide. : Partner Engineering and Science, Inc.